The use of scissors requires and enhances many developmental skills. Cutting allows children to build the tiny muscles in their hands since they have to continuously open and close their fingers. Cutting also enhances the use of eye-hand coordination, which means children must be able to move their hands, while looking at something. Since the brain is required to work with two systems, cutting might be a difficult task. But don´t worry, little hands can develop fine motor skills by learning the proper way to use scissors. Keep reading to learn more! Cutting with scissors requires multiple skills, and one of them is the hand separation. This is the ability to use the thumb, index, and middle fingers independently from the pinkie and ring fingers. 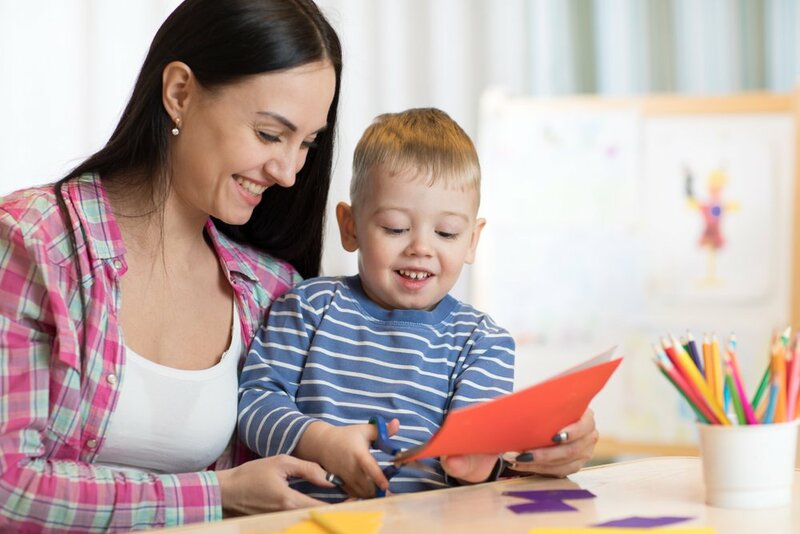 When your child practices cutting with scissors, he is also using abilities like hand-eye coordination and bilateral coordination because each hand is doing something different. Although these skills are used during the activity of cutting, they can also be practiced throughout your child’s day. Simple tasks like throwing and catching a ball, using a spoon, or zipping a coat are things where your little one develops his hand coordination, finger dexterity, and builds strength in the little hand muscles. Practicing these will build the muscle control and grasping abilities needed to use scissors. Make sure he has a proper grip while grabbing the scissors. Before cutting paper try easier materials like playdough, straws, yarn, or foam. Begin easy. Give a long piece of paper or playdough to your son and have him cut through the width, this way he will just need to open and close the scissors once. Practice snaps around a circle. What to encourage when using scissors? Holding the paper over the table with the other hand, so that your child can practice his bilateral coordination. This will prevent children from using the scissors upside down. Cutting straight lines and circles.